JPA is launching a new project for the upcoming summer in NYC!! 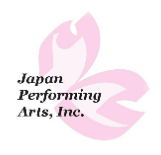 JPA will present Bon Odori in NYC and welcome you to join the summer festival! Bon Odori can be divided into two categories. One of the categories is the standards that are known virtually anywhere in Japan. These music and dances are introduced by the National Bon Odori Preservation Association in Japan and anyone can use them to dance. The other category is regional specific music and dances. Usually these regional specific Bon Odori dances have hundreds of years of history, so only the locals can participate in the dance circle and tourists can watch them perform. Some of them are recognized as Japan's national or regional intangible heritages. Among the hundreds of these regional specific Bon Odori dances, there are those called "The Big Three Bon Odori." 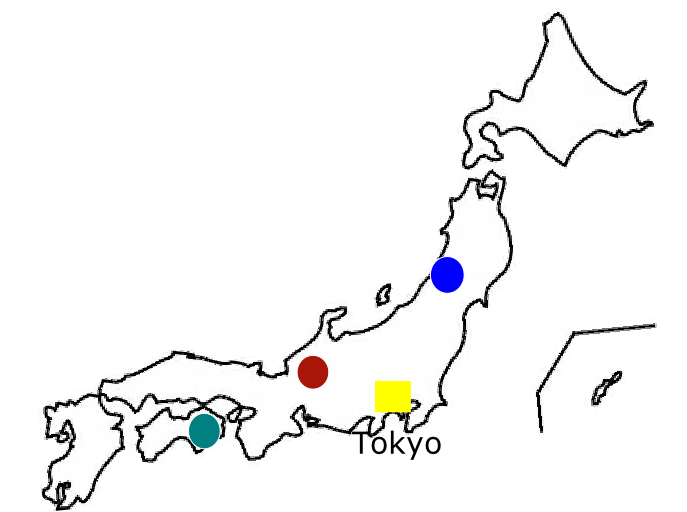 They are: Nishimonai Bon Odori (Akita prefecture), Gujo Obori (Gifu prefecture) and Awa Odori (Tokushima prefecture). This summer, JPA will present these Big Three Bon Odori in NYC!! These dances are considered as special regional Bon Odori and two of them are only performed by the trained locals. 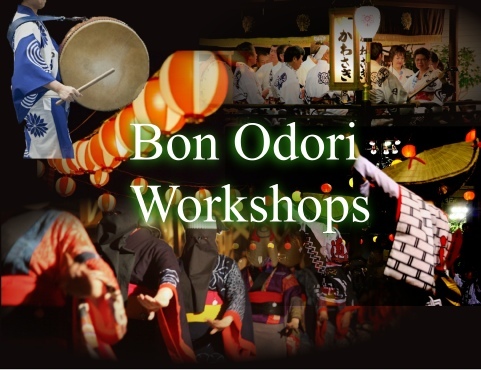 However, JPA obtained a special permission to teach these dances from each of the regional preservation associations and we will have practice sessions in the near future for the Bon Odori event in NYC! JPA is forming a dance team in New York for each of the Three and planning a fun event for these Bon Odori dances. In August this year, JPA is scheduled to have an event on Governors Island to show the Three Big Bon Odori. please contact JPA at the email address below. JPA will contact you on the rehearsal schedule as the dates are confirmed. If you are interested in all dances, that’s great too! The week before the festival all of the shops on the Bon Odori street open up and display traditional hanui (端縫) patchwork kimono, amigasa hats and hikosa zukin masks. The shops and food stands open at around 5. The dance begins as the sun goes down and continues until about 11. Gujō Odori is a Bon Festival held every summer in Gujō, Gifu, Japan. The dance festival's origins have been traced back to the Kan'ei era (1624–44), when it is believed to have originated as an exercise in social cohesion; it has been designated an Important Intangible Folk Cultural Property. The festival lasts thirty-two nights, from the middle of July to early September. During the four days of Obon in mid-August (August 13 to 16), dances continue all night. Gujō Odori has 10 kinds of dances. Kawasaki and Harukoma are very famous and easy to dance for beginners. The final song of every night is always Matsusaka. There is no difference between the cast and the audience, anyone can participate; therefore the dances attract many visitors. About 250,000 people during the four days of Obon and about 300,000 people every summer come to this small town, which has a population about 15,000 in Gujō Hachiman district, for the odori. The Awa Dance Festival (Awa Odori) is held from 12 to 15 August as part of the Obon festival in Tokushima Prefecture on Shikoku in Japan. Awa Odori is the largest dance festival in Japan, attracting over 1.3 million tourists every year. Groups of choreographed dancers and musicians known as ren dance through the streets, typically accompanied by the shamisen lute, taiko drums, shinobue flute and the kane bell. Performers wear traditional obon dance costumes, and chant and sing as they parade through the streets. Awa is the old feudal administration name for Tokushima Prefecture, and odori means dance. Awa Odori's independent existence as a huge, citywide dance party is popularly believed to have begun in 1586 when Lord Hachisuka Iemasa, the daimyō of Awa Province hosted a drunken celebration of the opening of Tokushima Castle. The locals, having consumed a great amount of sake, began to drunkenly weave and stumble back and forth. Others picked up commonly available musical instruments and began to play a simple, rhythmic song, to which the revelers invented lyrics. The lyrics are given in the 'Song' section of this article. We will inform the dates and time once they are determined. Dance rehearsal for Gujo Odori will start on April 28th 2019. Please check the schedule above! Each Bon Odori below has different schedules of dance rehearsals. Dance rehearsal for Awa Odori Team will start on February 24th.